The relationship between the United States and Cuba has evolved dramatically over the past 50 years. This timeline aims to capture each historic moment as it happens, beginning with the most recent. President Donald Trump announces a partial rollback on the agreement signed between Barack Obama and Cuban president Raul Castro 15 months earlier. The new policy bans most US business transactions with the Armed Forces Business Enterprises Group, a Cuban entity involved in all sectors of the economy. However, it exempts air and sea travel, allowing US airlines and cruise lines to continue serving the island. The Trump administration’s amendments also tighten rules around US citizens travelling to Cuba. They will now only be allowed to travel as part of an organised group, for specific purposes such as educational, professional or humanitarian. 21 March 2016 Barack Obama became the first US president to set foot on Cuban soil in 88 years. 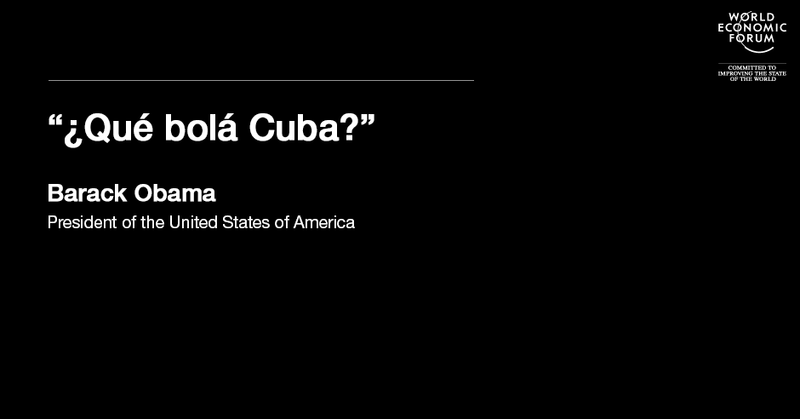 "Que bolá Cuba," he wrote on Twitter, using an informal Cuban greeting. "Just touched down here, looking forward to meeting and hearing directly from the Cuban people." The visit, which includes talks with President Raul Castro, marks the end of a half-century of estrangement between North America and Cuba, and a three-year effort by Washington to restore diplomatic ties with the island. 18 February 2016 The White House announced that President Barack Obama will visit Cuba in March. He will be the first American president in 90 years to step on Cuban soil. The world leader took to Twitter to announce this milestone in US foreign policy. 19 September 2015 When Pope Francis arrived in Cuba for the first time, he could look back on a renewal of diplomatic relations between the two countries that he helped to broker. The Pope told a welcoming ceremony in Havana that the normalization of relations between the Caribbean nation and the US had filled him with hope. "It is a sign of the victory of the culture of encounter and dialogue, the system of universal growth over the forever-dead system of groups and dynasties. I urge political leaders to persevere on this path and to develop all its potentialities as a proof of the high service which they are called to carry out on behalf of the peace and well-being of their peoples, of all America, and as an example of reconciliation for the entire world." 17 December 2014 The Obama administration announced its intention to ease sanctions against the Caribbean island – laying the groundwork for the restoration of diplomatic relations between the two nations. This was confirmed during the Summit of the Americas, held in Panama in April 2015, where Presidents Barack Obama and Raúl Castro shook hands , marking the first official meeting between the two heads of state. 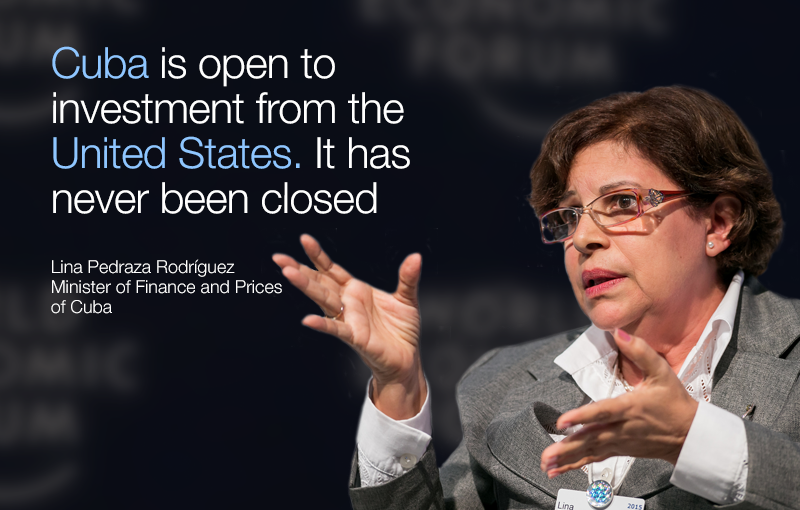 Cuba’s Minister of Finance, Lina Pedraza Rodríguez, addressed the thawing of the relationship while participating at the World Economic Forum on Latin America in Mexico in May. 20 July 2015 Cuba and the United States resumed diplomatic relations after 54 years by reopening embassies – a signal of their willingness for cooperation after a tumultuous relationship. However, there are still many hurdles that need to be cleared for full normalization between the two nations. Congress would need to repeal the trade embargo in order to allow most exports, imports and investment across the Florida Strait, and the differences between the two governments makes it clear that there still a long road ahead after decades of mistrust. 14 August 2015 In a historic moment between the US and Cuba, Secretary of State John Kerry raised the American flag over the recently restored American embassy in Havana. Although the economic embargo legally remains, this is another important step toward normalizing diplomatic relations between the two nations. Kerry said at the State Department as he stood next to Cuba’s Foreign Minister, Bruno Rodríguez: "This milestone does not signify an end to differences that still separate our governments. But it does reflect the reality that the Cold War ended long ago and that the interests of both countries are better served by engagement than by estrangement."